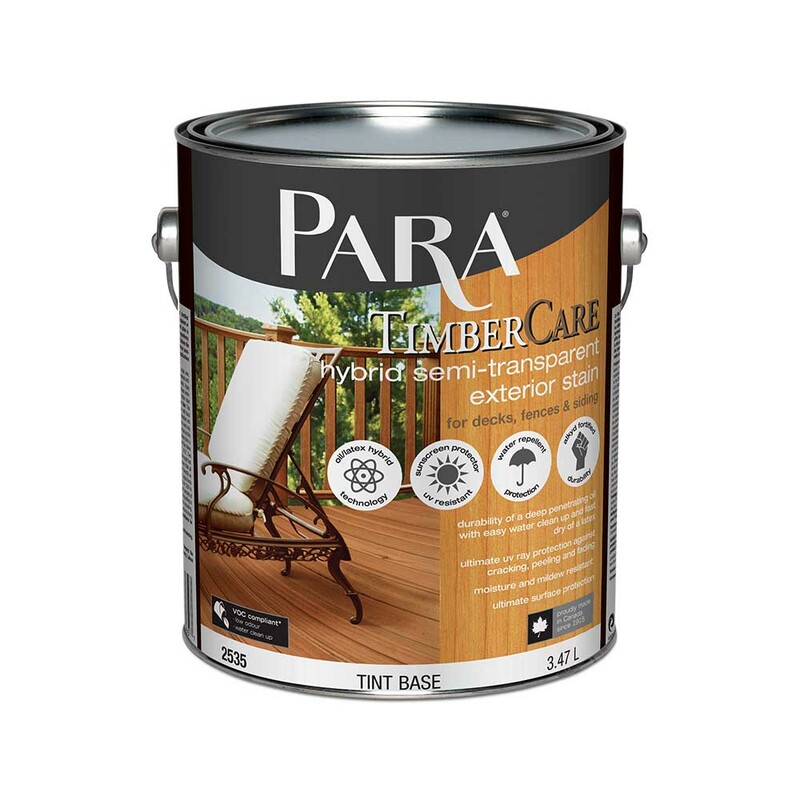 Timbercare Exterior Hybrid Semi-transparent Stain with its alkyd fortified acrylic formula is a top quality products made of an alkyd and acrylic latex blend. This Hybrid blend offering the superior penetration and adhesion properties of an oil and the long lasting durability of a 100% acrylic. Protects and beautifies exterior new wood, weathered wood or stained wood surfaces. Recommended for wood siding, fences, trim, decks and outside furniture.